Want to see what we do for Charity? Unlike many companies, our values provide the template for how we operate across the business i.e. what we expect of our team members, how we decide who to recruit for ourselves, through our internal performance reviews and as an ethos that drives Silven. We believe if we continually implement our values effectively then everybody benefits…our own team members, our clients and our candidates. Hi, we’re pleased you found us. Hands up who likes recruitment? …having a critical position to fill …yesterday; … or the daunting task of looking for a fresh career move? Now keep your hands up if you like dealing with recruitment consultants? 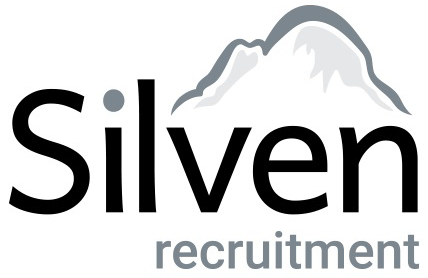 Luckily, we love it and so we set up to provide an exceptional recruitment service to a number of specialist sectors within which we have the expertise and knowledge to be able to stand out from the crowd. It seems to be paying off as we’ve grown year on year since we started and now work with some of the most renowned businesses across our markets. As you can see from our office photos on the site, we’re a happy, dedicated bunch who love what we do. Our enthusiasm and expertise is geared to providing you with an effective and personal service that will solve your recruitment issues and restore the smile to your face! Carole is very professional with a personal touch. She has a good understanding of the FMCG market and this makes her really good at matching client and candidate requirements. Carole ensured that I was only put forward for positions that matched my professional skills and personal requirements therefore not wasting anyone’s time. Carole is trustworthy, open and honest and I wouldn’t hesitate to use her services again. "Incredibly friendly, supportive and professional!" Emma has been fantastic support through the whole recruitment process and I now have a position working for Pizza Hut. From the beginning Emma was incredibly friendly, supportive and professional and kept me continually updated through each stage. Even after I heard I’d got the job, she still kept in contact. You can tell Emma has a genuine interest in her clients. I have already recommended her to two friends looking for new jobs.